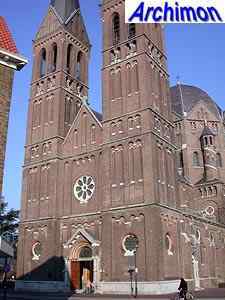 When the medieval church of Geldrop, the St. Brigida, was returned to the catholics in 1796 it was in a ruinous state. 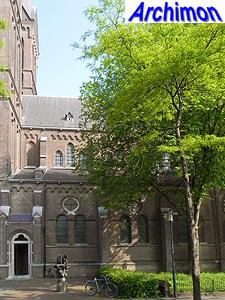 After a long restoration in 1823 the church could once again be used for catholic services. 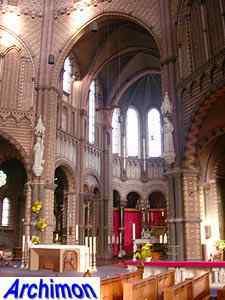 Soon the church would proof to be too small for the fast growing parish, and by 1860 there was talk about replacing the old church. 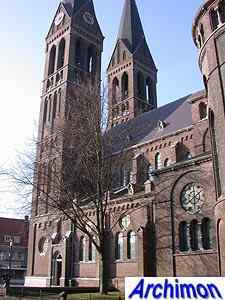 However, in 1867 the adjacent municipality of Zesgehuchten was split from the Geldrop parish and became a parish itself, and Geldrop no longer needed a bigger church. 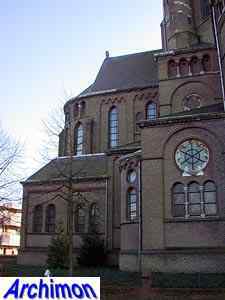 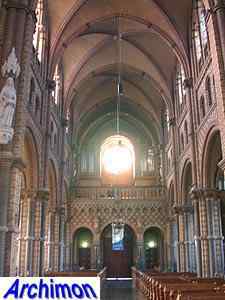 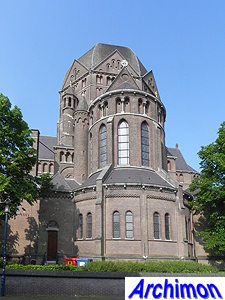 However, in 1884 the new church of Zesgehuchten was completed. 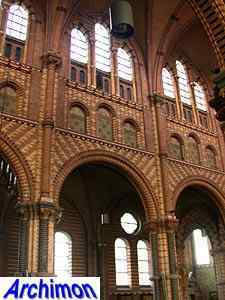 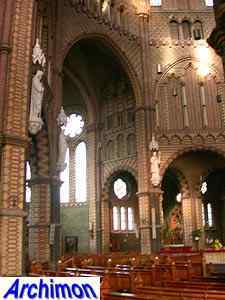 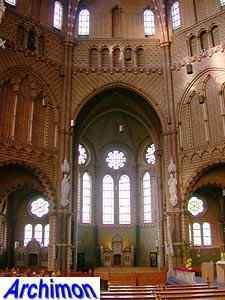 It was big cruciform basilica in neo-Gothic style with a tall tower, designed by architect H.J. 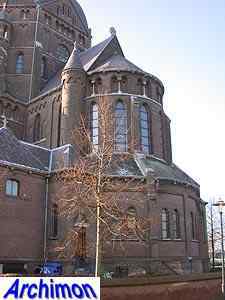 van Tulder and built in the village of Hoog-Geldrop, just outside Geldrop itself. 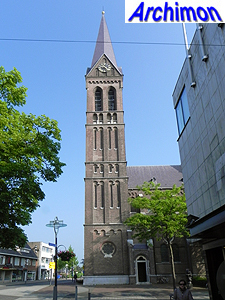 Not only did the wish for a new church for Geldrop return, now the need was felt to have a church with two towers to out class the church in Hoog-Geldrop. 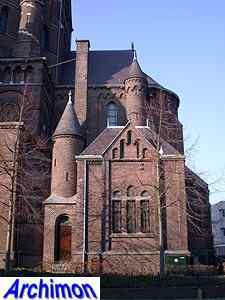 The bishop did not approve though, and suggested the replacement of the old church by a new one the size of the one in Hoog-Geldrop, and with no other tower than the old one. 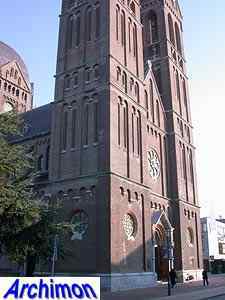 The old tower however collapsed in November 1887, after the nave that had been supporting it had been demolished. 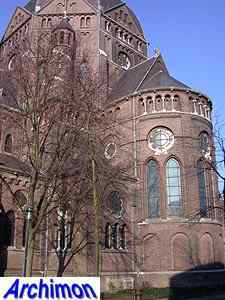 The remains of the old tower were blown-up by army engineers in January 1888. 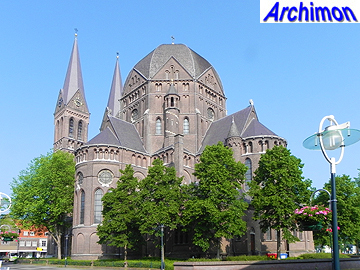 Already in 1887 architect C. Weber had been contacted. 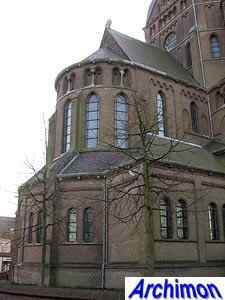 It is unknown if he had made a design for a new church that incorporated the old tower. 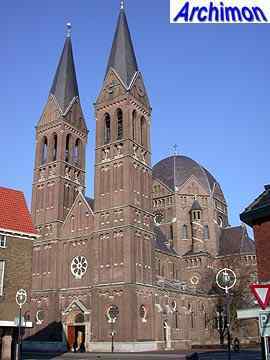 If so, it was not used, because the demolition of the old tower meant that the option for a church with two towers was now open. 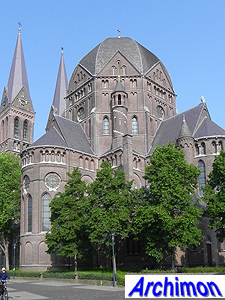 In the meantime Weber had designed a new church for Uden, and it is well possible that design was shown to a delegation from Geldrop for inspiration. 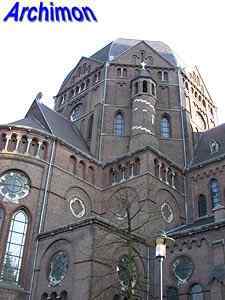 Building the church was expensive, and eventually one of the towers was paid for by the Geldrop muncipality, on the condition it would have a clock. 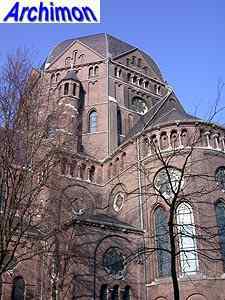 The H. Brigida was Weber's fifth and biggest dome-church. 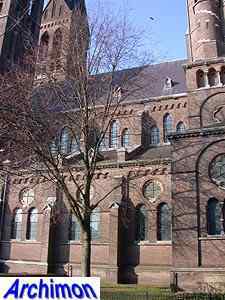 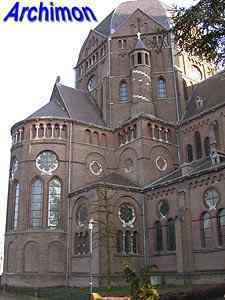 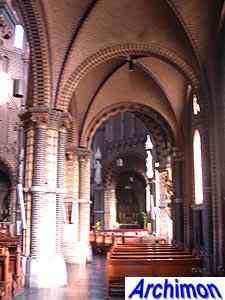 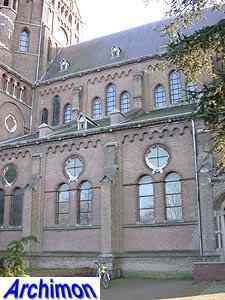 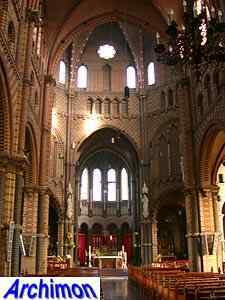 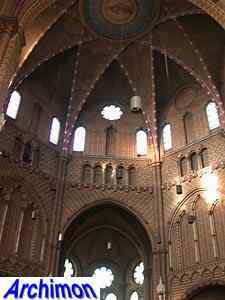 Like the St. Bavo in Raamsdonk and St. Petrus in Uden, both built shortly before this church, it is a large three-aisled cruciform basilica in neo-Romanogothic style, with a cloverleaf-shaped eastern part and an octagonal dome on the crossing. 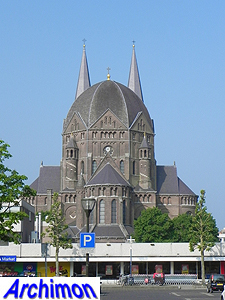 Ironically, the towers were inspired by those Weber's rival P.J.H. 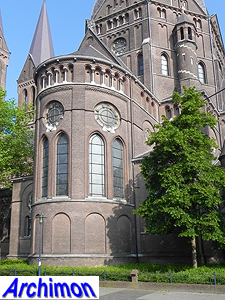 Cuypers had designed for the Munsterkerk in Roermond, while a few elements remind of the tower of the old church as well. 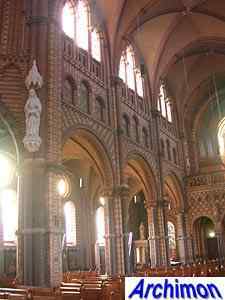 In the interior bricks in several different colours were used.